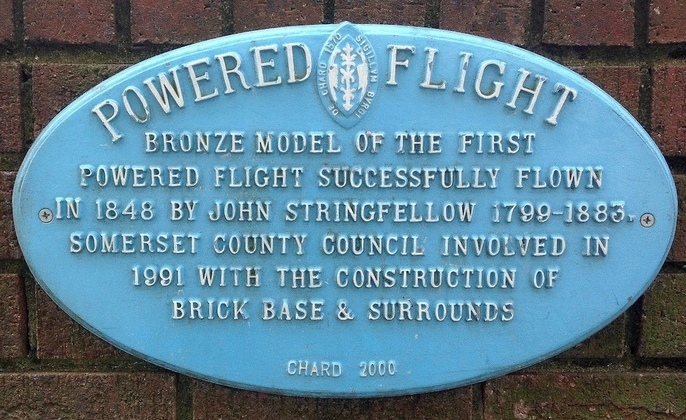 The 'first' aircraft to fly under its own power was flown by its inventor, 'John Stringfellow' (1799-1883), in Chard Somerset England in '1848'. The fixation of man to want to fly like a bird eluded mankind until the Wright brothers flight of 59 seconds in 1903. But there were many men before this event who all contributed to achieve this goal, notably Frenchman Chanute, German Otto Lilienthal and NZ Richard Pearse. Below are the main British aviators. 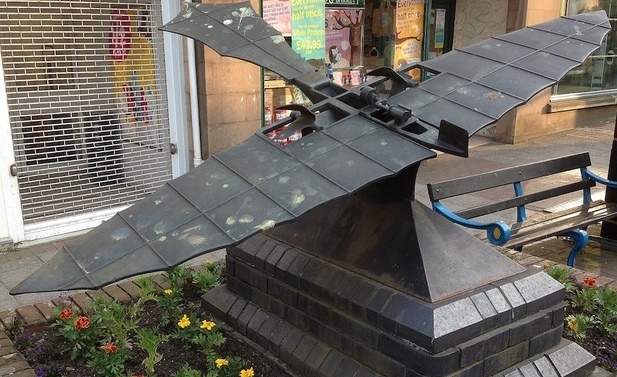 Cayley from Scarborough Yorkshire was an early aviation pioneer who experimented with gliders. 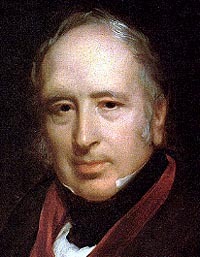 In 1799 he set in place the concept of the modern aeroplane as a fixed-wing flying machine. He experiments led him to develop an efficient cambered airfoil and the first person to identify the four vector forces that influence an aircraft: thrust, lift, drag, and gravity. He successfully flew a gliding aircraft in 1804 and later there are reports that he transported his butler across his land on his glider. "About 100 years ago, an Englishman, Sir George Cayley, carried the science of flight to a point which it had never reached before and which it scarcely reached again during the last century." Wilbur Wright. 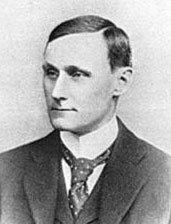 Long before the Wright brothers aviation engineer and inventor Henson, born in Nottingham England, Henson worked in Chard lace-making business. 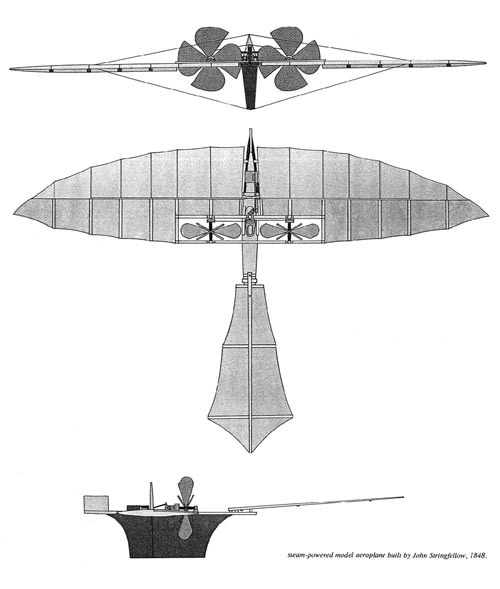 In 1842 he designed a large passenger-carrying steam-powered monoplane, with a wing span of 150 feet, which he named the "Henson Aerial Steam Carriage". 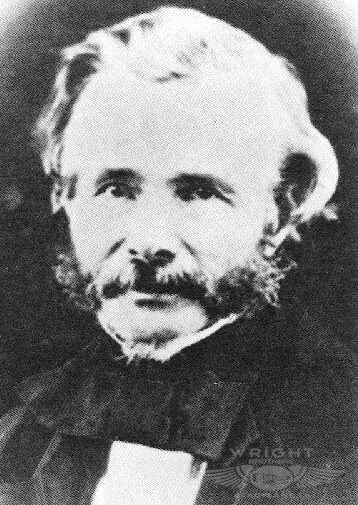 He received a patent on it in 1843 along with John Stringfellow. 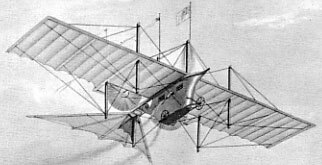 Stringfellow designed and built a model monoplane. It had a 10 feet wingspan with a wooden frame covered in silk. Its wing was 2 feet wide at its widest part tapering to a point at the tip with a rigid leading edge and a slightly curved upper surface. Henson, Stringfellow, Frederick Marriott, and D.E. Colombine, incorporated as the Aerial Transit Company in 1843 in England. 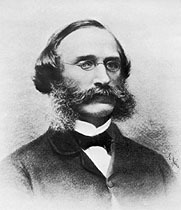 Henson married and emigrated in 1849 to the United States, while Stringfellow continued to experiment with aviation. The model was powered by a tiny 'steam engine' housed in the gondola below the wings. This engine, fired by a spirit lamp, had a cylinder with a diameter of ¾ inch and a stroke of 2 inches. Complete with water and fuel, the engine weighed just under 6¾ lbs and drove two large propellers which rotated in opposite directions to give the machine lateral stability. 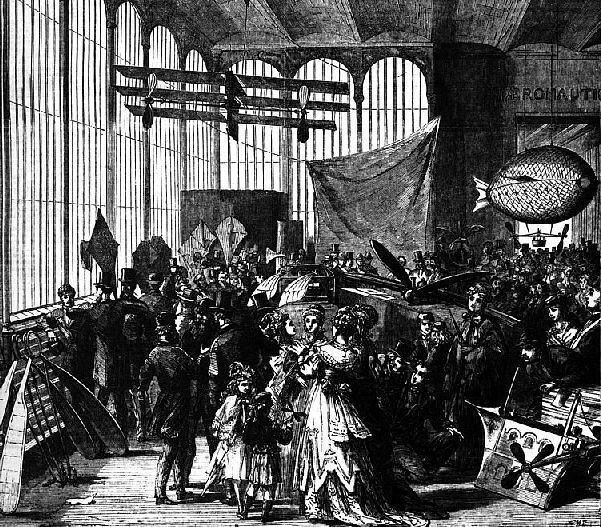 Stringfellow demonstrated a steam-powered triplane at an exhibition arranged by the 'Aeronautical Society of Great Britain' (founded in 1866) at the Crystal Palace, London, in 1868. The plane was flown indoors from a wire unmanned at twenty miles per hour in front of the Prince of Wales and the Duke of Sunderland. The exhibition gave world-wide exposure to gains in flight and the Tri-wing design influenced by Chanute. "Somebody must do better than I before we succeed with aerial navigation." 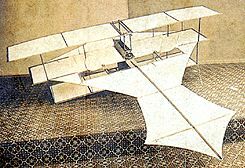 Four years before the Wright brothers, Pilcher, born in Bath Somerset in 1866, had constructed his own tri-wing aeroplane. Pilcher had successfully flown several gliders and trialed his plane for powered flight. Percy arranged for a demonstration of his powered flight to some dignitaries at Stanford Hall on 30th September in 1899, but sadly due to an engine failure, Pilcher, had to resort to flying his Hawk glider. The demonstration did not go to plan and Percy was critically injured, robbing him, and the world, of the first manned powered flight. Percy died days later on the 2nd October 1899 before he could display his powered triplane. In 2003 Pilchers triplane was rebuilt to test whether it would have flown. The rebuilt plane flew successfully for 1 minute 25 seconds, 26 seconds longer than the Wright brothers managed 4 years later in 1903.